I just might be able to rest easy tonight. Donald Trump has finally come clean about how he keeps the disaster on the top of his head looking perfectly hideous day in and day out. I know you’re as curious as I am. Don’t lie. 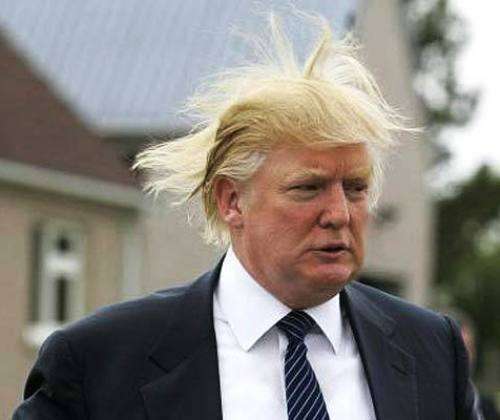 Personally, I’m far more disturbed by Donald Trump’s hair than I am by Obama’s birth controversy. Perhaps Trump is trying to appeal to the masses in his still unofficial bid for the White House by addressing an issue that has plagued him for years and admitting to Rolling Stone magazine his obnoxious coif has issues. More than likely, however, he’s probably just doing more of whatever he can to talk about himself as much as possible. next post: Whitney Houston Banned From Prince Concerts. Allegedly. 53 queries in 1.434 seconds.